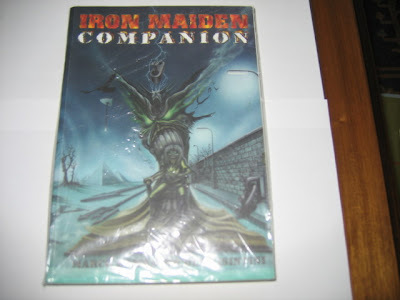 My Iron Maiden collection: Books:Companion, by Marco Gamba and Nicola Visintini. Year of release:2001. Published by Moving Media arts. 400 pages all colour. Books:Companion, by Marco Gamba and Nicola Visintini. Year of release:2001. Published by Moving Media arts. 400 pages all colour. This book is a must have item for any Maiden collector, its name is Companion and was made by Nicola Visintini and Marco Gamba. 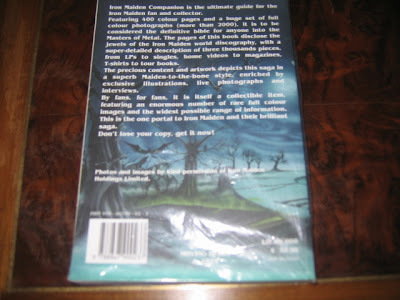 This edition is from 2001 and is really their second book, at the time. 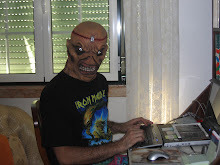 The book is a comprehensive journey through most of Maiden official items with references, year of release photos etc etc. Is a great tool to all of us desperate collectors. Labels: Books:Companion, by Marco Gamba and Nicola Visintini. Year of release:2001. Published by Moving Media arts. 400 pages all colour. Books: Best Of The Beast 1996. Books: What Are We Doing This For? UK pressing.